Mix all the ingredients except onions with water. The consistency of the batter should be very thin just like buttermilk. Check taste for salt. Heat 2 tbsp oil in a flat pan. Sprinkle hand full of chopped onions on Pan. 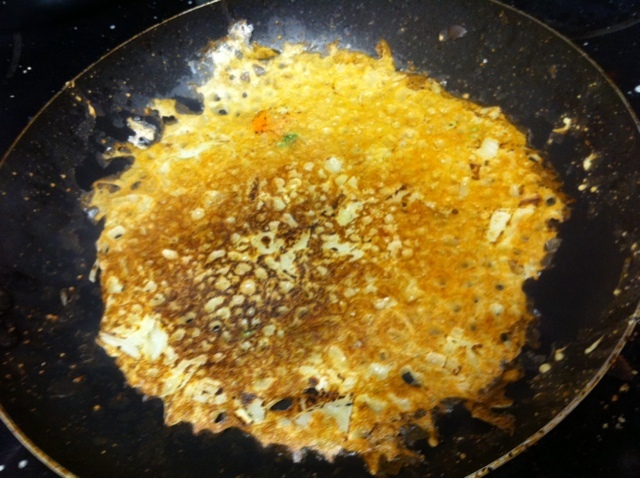 Now take hand full of batter in hand and sprinkle on a pan to make dosa. Add some oil on to the sides of the dosa and cook till it turns light brown. 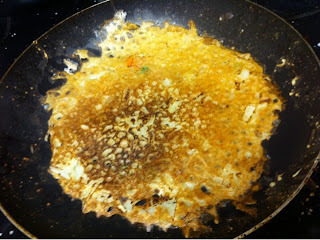 Flip it and cook other side till it is completely cooked by adding some oil from sides of the dosa. Take out from the pan and serve hot with tomato or palli chutney. Hope you like my recipe. Tips: use thin spatula for flipping dosa. If you are trying for the first time do not worry practice. If your pan is sticky take and onion and cut it to half and rub it on the pan. 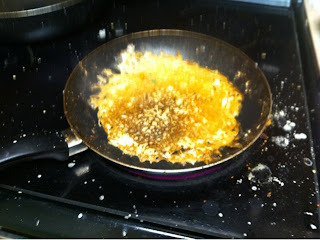 This way onion juice creates a non sticky layer on the top of the pan. hope you find these tips useful. 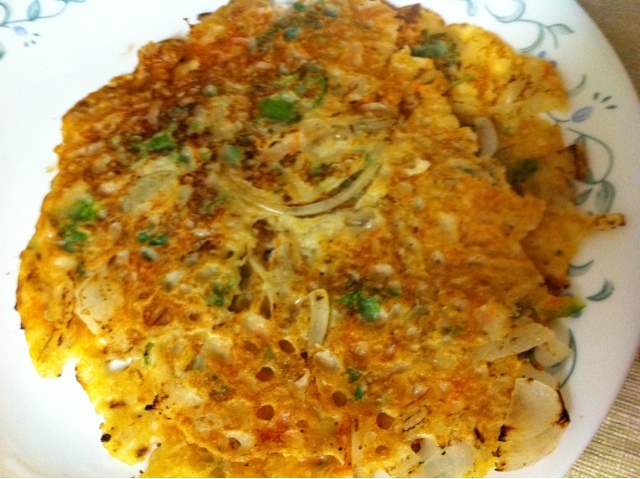 Rava dosa looks to be simply yummy and fulfilling. Wonderfully prepared. My kind of dosas, looks fabulous. I love rava dosa's and this one is looking too good to pass!